The beach is close to city center. The name literally means Beach of the Ugly Stone. It is popular to visit by the locals but it is considered too dangerous for swimming. 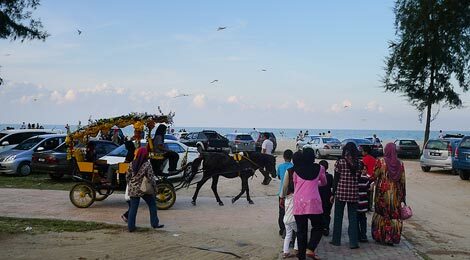 Batu Buruk and the surrounding beaches are easily reached from Kuala Terengganu by bus (Marang / Dungun), mini bus (No.14 / 13), trishaw and taxi or even on foot if you like walking (about 20min from city center). 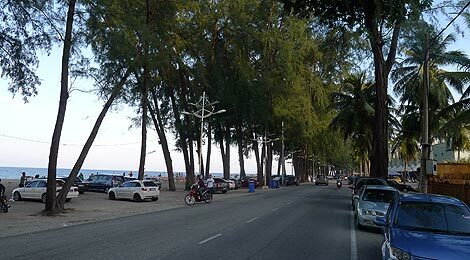 Pantai Batu Buruk (or Batu Burok) is the closest beach from the city center. 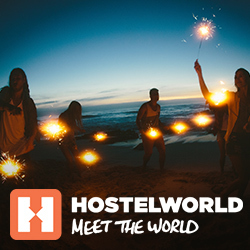 That makes it a strategic venue to visit by many locals as well as travelers. With the shades provided by rows of coconut trees and Rhu trees (Casuarinas Tree), and the cool breeze of the South China Sea, many locals have chosen this venue by just simply sitting by the beach to wrap up a hard work’s day, strolling or picnicking along the beach. Besides, with the typical tropical heat, this is indeed a great hide away for many. Although one should be mindful that it is not recommended, or even allowed, to swim here due to the strong waves. 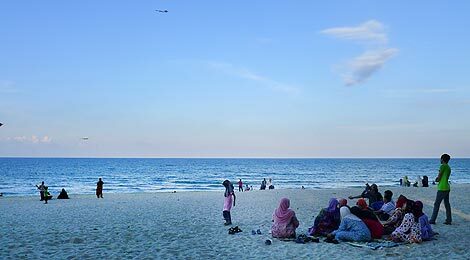 This beach offers you clear horizon view, where you are able to spot Pulau Redang and Pulau Kapas on clear days, as well as fishermen’s boats and ships. One cannot describe the feeling of just gazing out into the horizon with the breeze blowing and the sound of waves breaking into the beach. The beach is frequently visited during the weekends and normally packed during school holidays. The white sandy beach then filled with colourful beach blankets for picnics and people from every age. 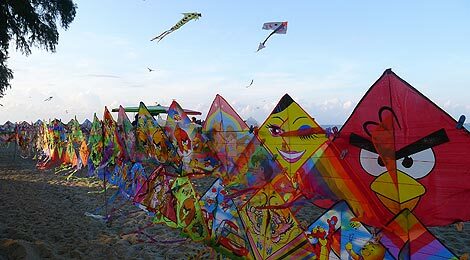 With the benefits of open beach and strong breeze, you can find kites in many shapes and colours fill the clear blue sky. If you are lucky, you may get to see some people fly Wau, a Malaysian designed kite in a sort of crescent moon-like shape, also one of the national symbols. If you are not there picnicking and feeling hungry, you need not worry, as there are many people selling food and drinks in little carts, from their bikes or small trucks along the beach. 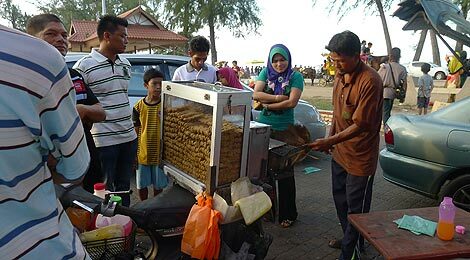 Walk to the other end of the beach (the opposite direction from Primula Hotel), you will find Taman Awam Batu Buruk, a recreational park, where the food court is. Here, you can sit down and enjoy variety of delicious must-try local food such as Nasi Dagang, Fried Ice Cream, seafood and so on . Besides, there is a playground, sizable skate park and so on. If you fancy, you may go for a horse carriage ride, horse and ATV motor riding. It is also worth to plan a trip there on the weekend – Friday, from 3pm onwards, when the night market starts. 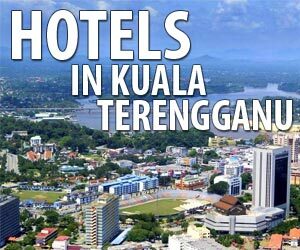 Yes, people here in Teregganu have their weekends on Fridays and Saturdays instead. The night market usually ends at 7pm. Sikh Temple at the near the Chow Kit Wet Market and Kampung Baru. Largest Sikh temple in South-east Asia and spiritual home to KL′s 75,000 Sikhs.